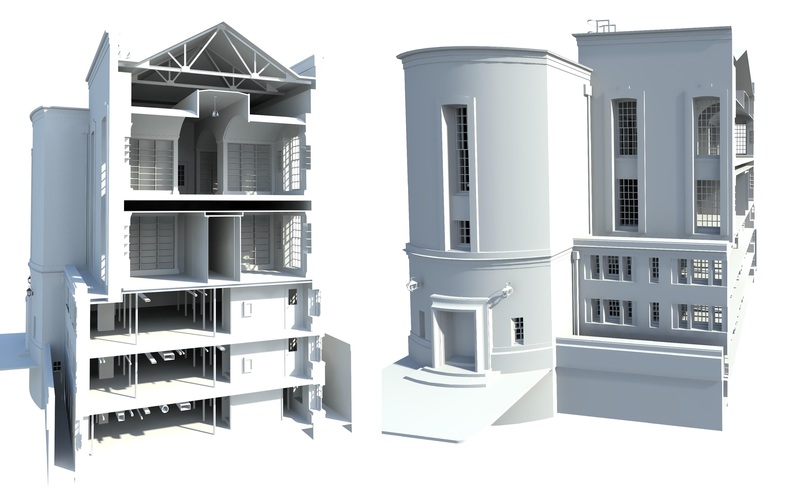 During the BIM modelling of existing objects based on the point cloud, it is very important to understand that the majority of BIM packages like REVIT, AECOsim or ArchiCAD are developed with the aim of designing brand new structures that have to be freshly built. The inventory of existing structures is usually made by using a 3D laser scanning. This method is very accurate and of course detailed. However, the replacement of the point clouds for a BIM model requires a lot of effort. Unfortunately, this is often restricted by the limits of a software. Creating a mapping in form of the models based on scan data we will have to face a lot of problems and dilemmas such as assumed accuracy and detailedness studies. The purpose of the following summary and categorization applied with simplifications in modelling is to find an agreement with the client as well as the way how the ordered data, later on, have to be used. It is not necessary to take this literally. For example, we can assume that the required model has to be made in LoD2 but on request, we can also add relevant elements like windows or doors. When it comes to the requirement at the stage of valuation it is very important to achieve the highest possible level of agreement with the client. However, the difference in the level of detail has a direct effect on the required time to develop the data what goes by with the budget of the project. At each stage of creating of a BIM model and after a complete process, we carry out Model Quality Check. In the list below, we included only the most important stages in the control process. Client is informed about Project Base Point position usage and all levels and grids within the building by a provisional work-in-progress model with all these aspects indicated. We use seven main stages in the creation of each model. Each stage has a quality check associated with the main topic of the phase. After each phase, there is a work-in-progress model available for the client. We try to separate external, internal and partition walls into different wall subtypes. We use “Join” geometry only when needed or asked to. We try to balance the number of families with the number of parameters used within the models. Our models are free of constraints. All temporary dimensions are purged. We use a rule of having only one level for each building floor in typical buildings. In less typical buildings we use by default some auxiliary levels to provide an easier edition of mid-level floors, mezzanines or major structures. Finished models are always purged, compacted and free of unnecessary views. We leave only one plane view of cutline at 1.2m per building story. We eliminate all unnecessary components from used materials to keep them as light as possible. We try to simplify geometry of the objects to match the level of detail chosen for the model. Usage of in-place models or mass-based geometry is always consulted with the client and limited to as few instances as possible. Most of our families don’t have nested elements, are free of imported images and other unnecessary weight increasing elements. While creating MEP models, by default, we try to make a model as simple as possible, eliminating all unplanned bends, damages and other typical issues. All simplified elements are marked up. We try to eliminate as many Revit warnings as possible. We eliminate overlapping walls and most of wall joining problems, but sometimes we are forced to leave “slightly of axis” or “extreme shape editing” warnings due to point cloud-based nature of the models. All point clouds and reference files are unloaded from the project file, but placeholders are left for potential use by the client. Point clouds attached to the model have a corresponding named point cloud, that we sent to our clients. This makes them easy to use by “Reload From” option. We use only light empty window families instead of system opening in Level 2 models. Below we added a questionnaire for a client. There is a precise list where the client can determine which elements are required to be modelled. Modelling on the Level of Detail 1 is generally used for the depiction of the architectural context in which the investment has occurred. Based on the solid models of the building environment there is a chance to explore the level of sunlight. Modelling on the Level of Detail 2 is used to create a base project in the preliminary architectural concept. 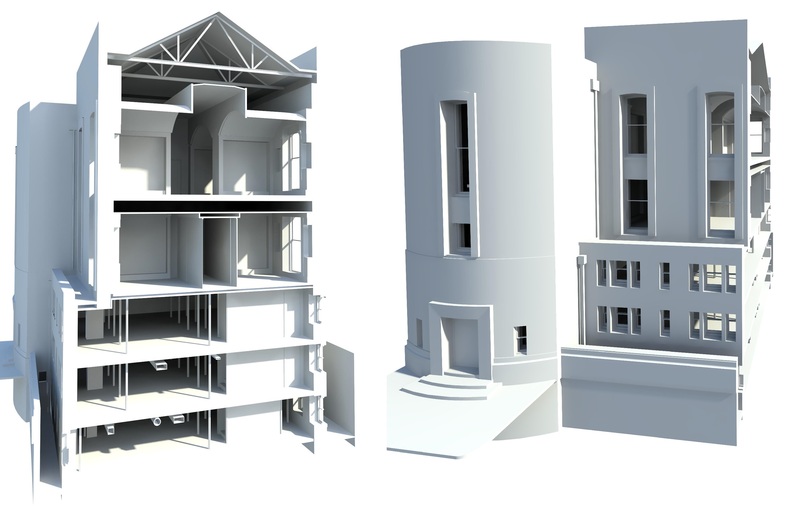 For example, a BIM model (LoD2) generates details in the same way as a 2D documentation in the scale 1:200. Modelling on the Level of Detail 3 is used as a base project excluding the construction documentation. 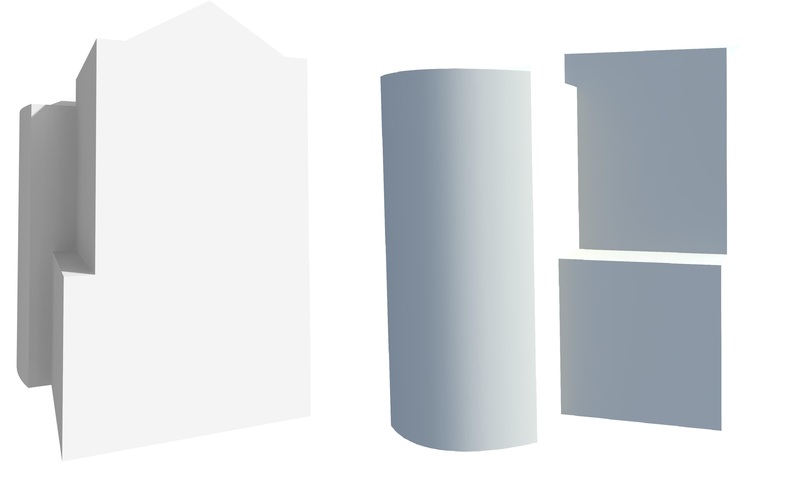 The BIM model (LoD3) generates details in the same way as a 2D documentation in the scale 1:50 or 1:100. Modelling on the Level of Detail 4 is generally used for creating engineering projects as well as for the finishing projects. 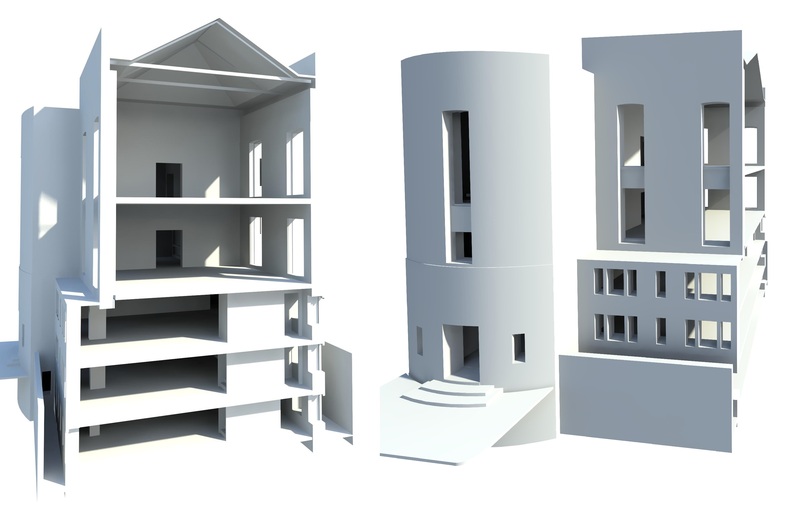 What more, the model BIM (LoD4) represents the most geometrically described architectural details. In this link, you will find a questionnaire where you can specify the LOD for your BIM model. To fill in the form, please download the file and open it in Adobe Reader.